The underpainting is now complete for a new watercolor of cowboy mounted shooting star Kenda Lenseigne. 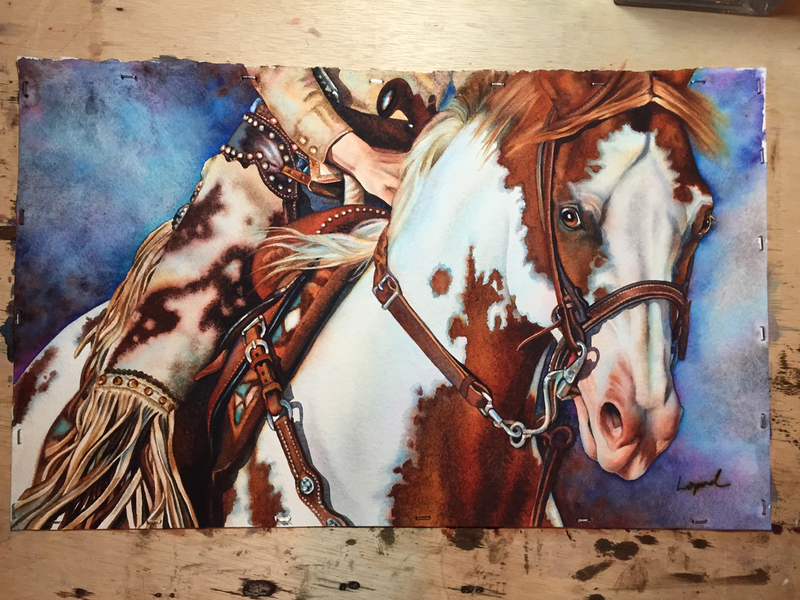 I was thrilled then Kenda gave me permission to paint this great action shot. I’m going for high contrast and cool lighting in this one. I’ll post more work in progress images as I go. 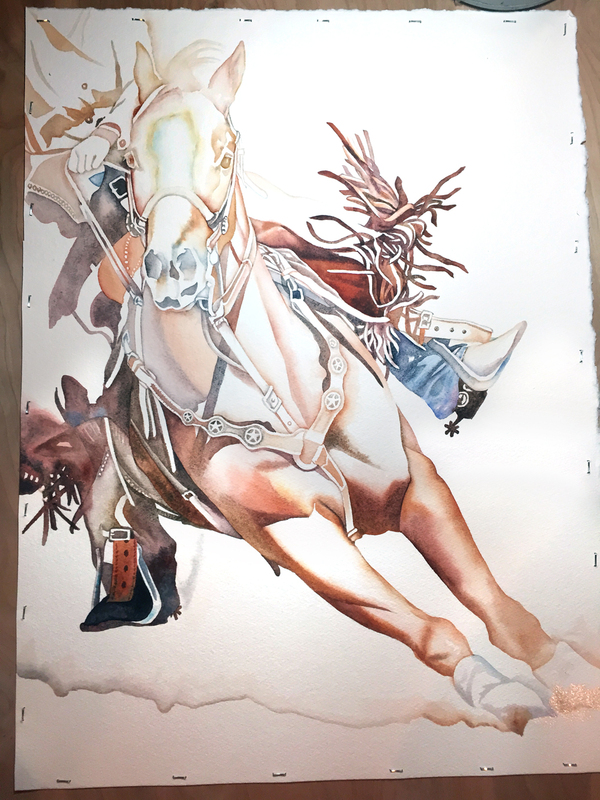 Work in progress on new mounted shooting scene featuring Kenda Lenseigne.